Whilst the judges were deciding who the 2012 Scottish Comedian of the Year should be former SCOTY winner Scott Agnew took to the stage of Glasgow’s Old Fruitmarket to keep the 700 audience members entertained. Fresh from Edinburgh’s Fringe 2012 with his five star, critically acclaimed show Tales of the Sauna. A look into the little known world of the gay man’s sauna – a tradition going back centuries – and for the straights a glimpse of what goes on there. Filth guaranteed. Fresh from his sell out and critically acclaimed Edinburgh 2012 run at The Stand Scott Agnew is a 6’5 Glaswegian stand-up and journalist with TV presenting credits and radio appearances under his belt. 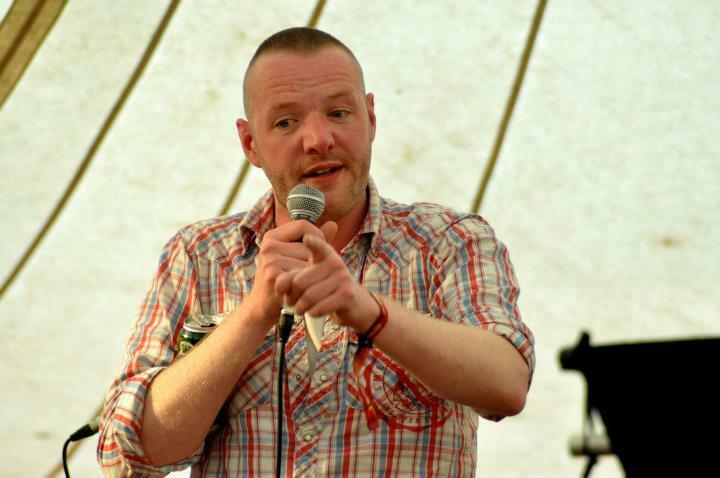 The Scottish Comedian of the Year 2008 has entertained up and down the UK and internationally and is a regular MC for the likes of Jongleurs, Highlight and The Stand as well as hosting in front of 8000 at Glasgow’s Gay Pride march in 2012. His work at the 2010 Fringe in Edinburgh at the Gilded Balloon led to presenting work on MTV’s MTV Crashes… Glasgow as well as being featured on STV’s The Hour. He debuted at the Fringe in 2009 at The Underbelly to a near sell-out run.